The International Criminal Police Organization - INTERPOL, with Headquarters in Lyon (France), is the world’s largest international police organization, with 190 member countries, each represented by a National Central Bureau. Created in 1923, INTERPOL facilitates international police co-operation via its global police communication system, databases, training and specific assistance in cross-border operations. INTERPOL has developed via its National Central Bureau’s a worldwide network of experts in areas related to specialized police activities. The day-to-day support is provided by more than 600 staff members at the General Secretariat and in its Regional Bureaus. To accomplish INTERPOL’s mission, its General Secretariat functions through a wide range of specialized units, such as public safety and terrorism, trafficking in human beings, organized crime, financial and high-tech crime, drug trafficking, intellectual property crime and anti-corruption. Pursuant to INTERPOL’s Constitution, action is taken within the limits of the laws existing in different countries and in the spirit of the Universal Declaration of Human Rights. Tobias Zwingler is a German jurist currently working as an Assistant Director for the International Criminal Police Organization (INTERPOL) in Lyon, France. 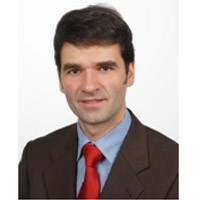 He received his legal training in Munich, Geneva and Brussels and specialized in European and Public International Law. Being a police lawyer within the German Federal Criminal Police Office (BKA) and the Federal Ministry of the Interior for almost 10 years, he worked in various fields of international police cooperation, including policy and data protection issues related to INTERPOL cooperation and mutual legal assistance in criminal matters. He joined the Office of Legal Affairs of the INTERPOL General Secretariat in early 2014. Caroline Goemans-Dorny is Senior Counsel at the Office of Legal Affairs of INTERPOL and specialized in data protection issues. 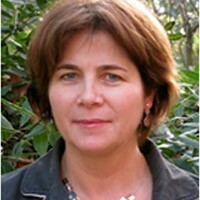 She is carrying out FP7 research projects SMART and RESPECT in which INTERPOL is full partner. Prior to joining INTERPOL, she was a researcher at the Interdisciplinary Center for Law and IT (ICRI), University of Leuven and participated in EU research projects such as RA-PID - Privacy and Identity Management and APES - Anonymity and Privacy in Electronic Services. Her main field of published research is data retention, data privacy and standardization, identity management and anonymity. Before joining the ICRI, she served as Secretary General of the Council of Bars and Law Societies of Europe (CCBE), acting as liaison with the EU institutions. She is an honorary member of the Bar of Antwerp where she practiced for ten years. She holds Masters degrees in Law, in Notarial Law (University of Leuven) and in European Law (Université libre de Bruxelles). 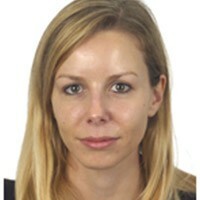 Sabine Berghs is an Associate Legal Officer at the Office of Legal Affairs of INTERPOL. She joined the organization over two years ago after obtaining a Postgraduate Diploma in ICT and Media Law from the Interdisciplinary Centre for Law and ICT (ICRI) at the University of Leuven, Belgium, where she had previously also completed a Master of Laws majoring in European and International Law. Sabine has contributed to the research conducted by the INTERPOL Office of Legal Affairs for the FP7 research projects SMART and RESPECT.